Think you know life insurance? …an education tomorrow. College savings add up! 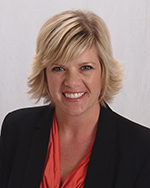 Hi, I’m Angie Hughes, Farm Bureau Financial Services agent, in Atchison County. My office is in Lancaster KS. We are here to help protect what matters most to you and help prepare you for the future. My team and I are committed to providing excellent customer service and are ready to go that extra mile for you! For more information about my team and I, click the About Us tab. Give us a call at 913-874-2060 or stop by the office so we can show you how simple insurance can be!